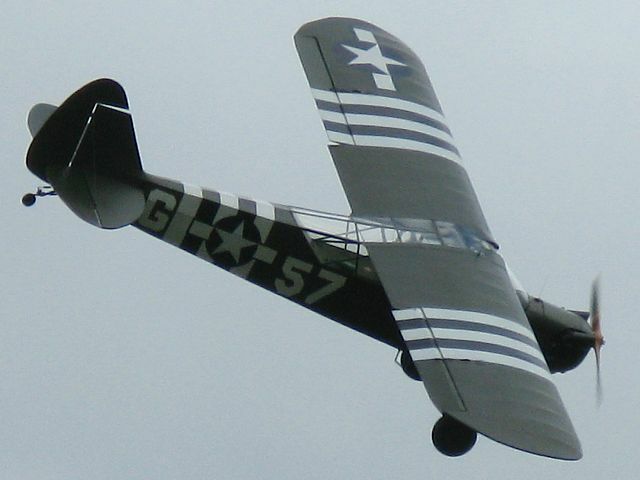 Click here to go to the General 2009 images. 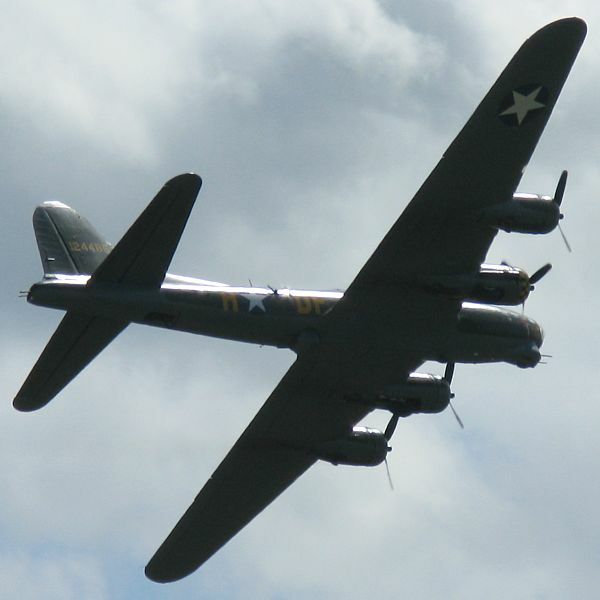 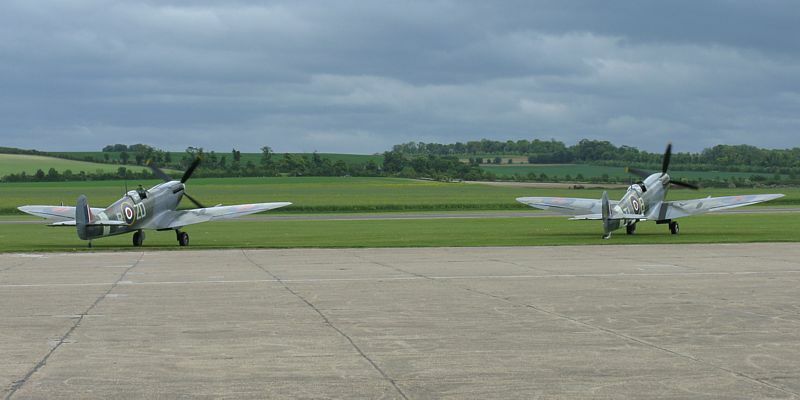 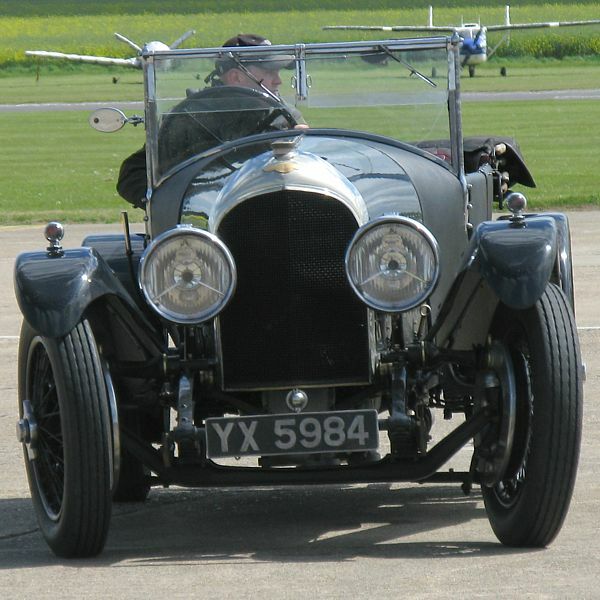 I went to the Duxford Airshow today with Jack Harrison. 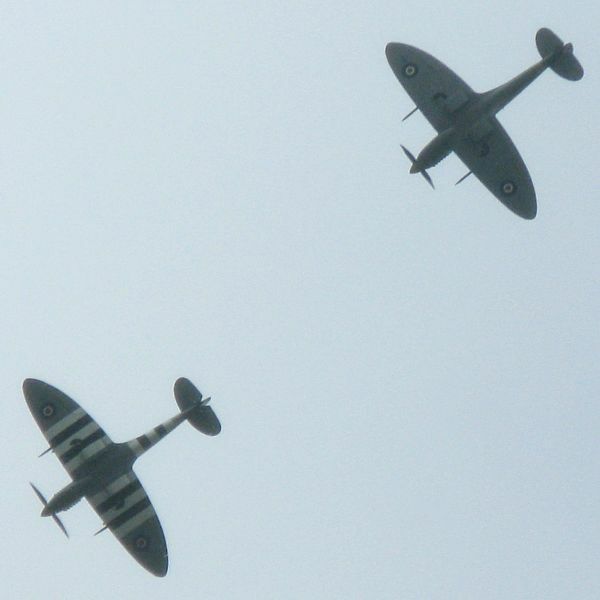 Good show that was. 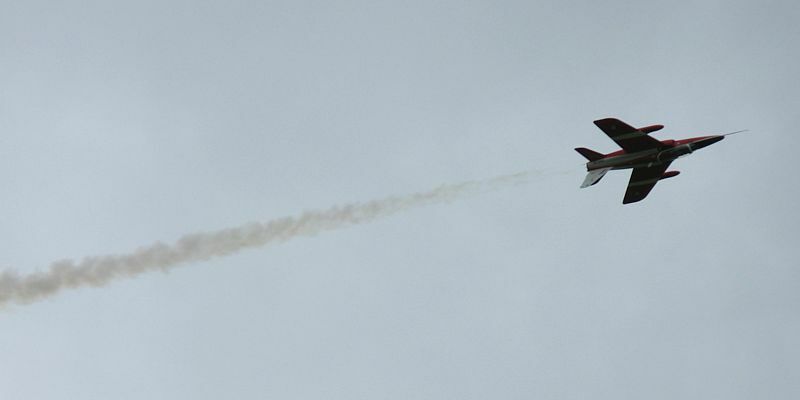 Thanks Jack for the invite! 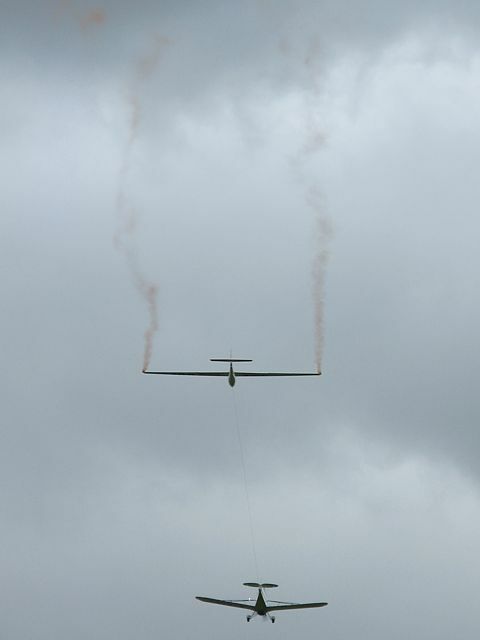 The highlight was easily Guy Westgate's stunning glider aerobatics display. 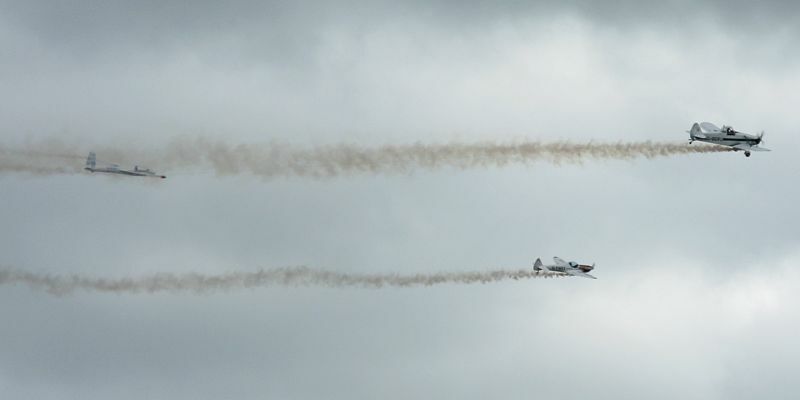 Plenty of cool powered displays too of course. 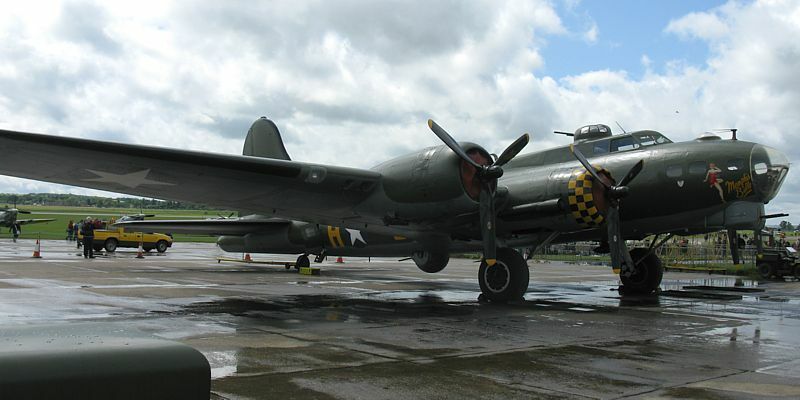 Boeing B-17 Flying Fortress parked up. 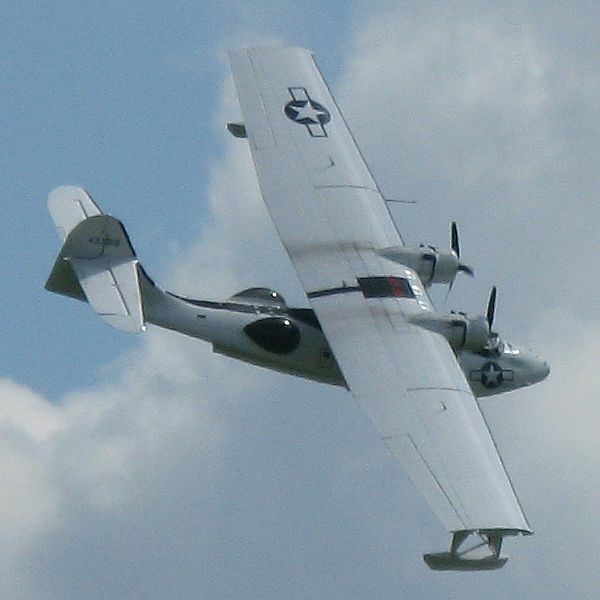 Consolidated PBY-5A Catalina parked up. 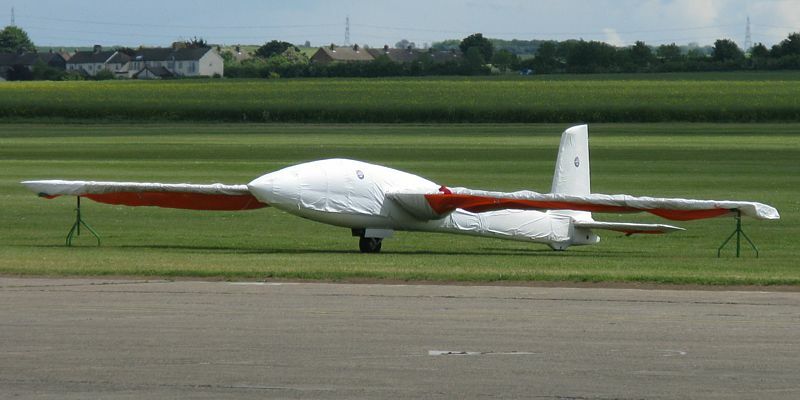 Guy Westgate's Swift glider parked up. 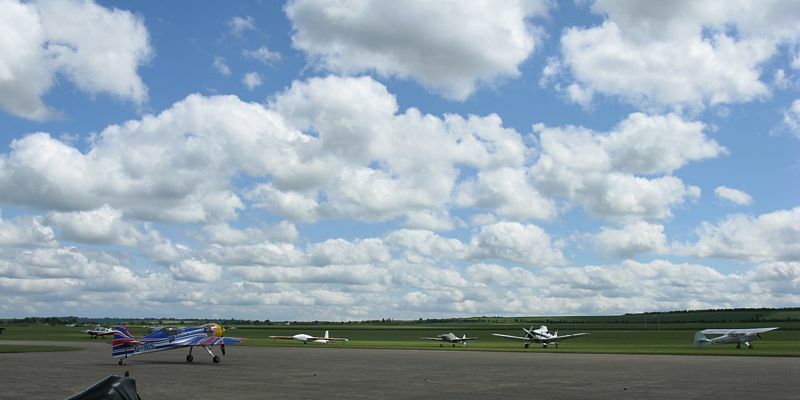 The sky filled with small low fluffy cumulus once heavy rain had cleared. 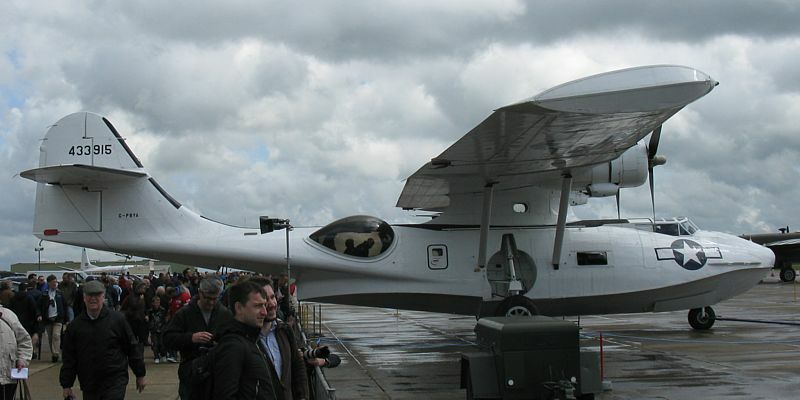 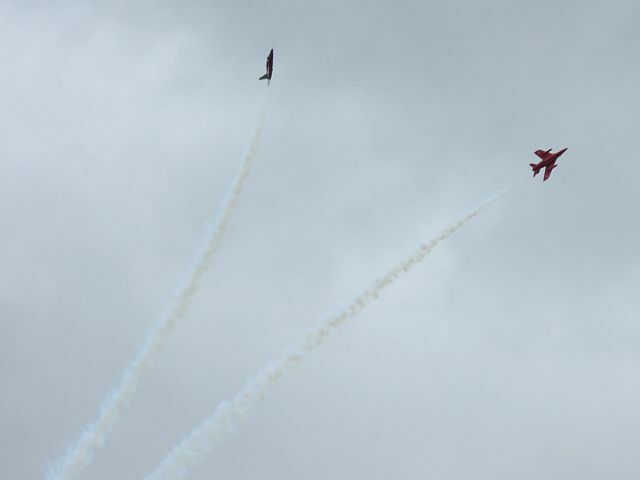 In the forgeround to the left is a Red Bull Air Race Sukhoi and the Swift glider just to its right. 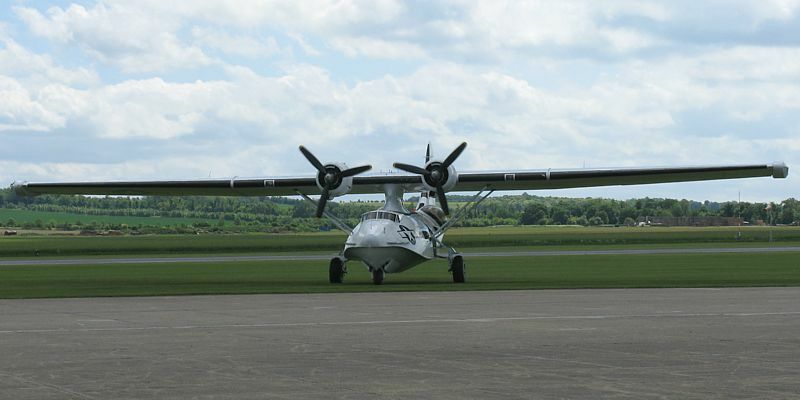 The Catalina taxiing to the runway. 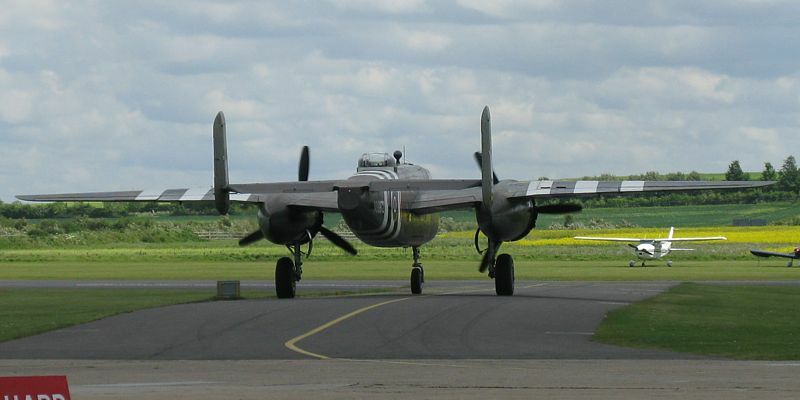 North American B-25 Mitchell taxiing to the runway. 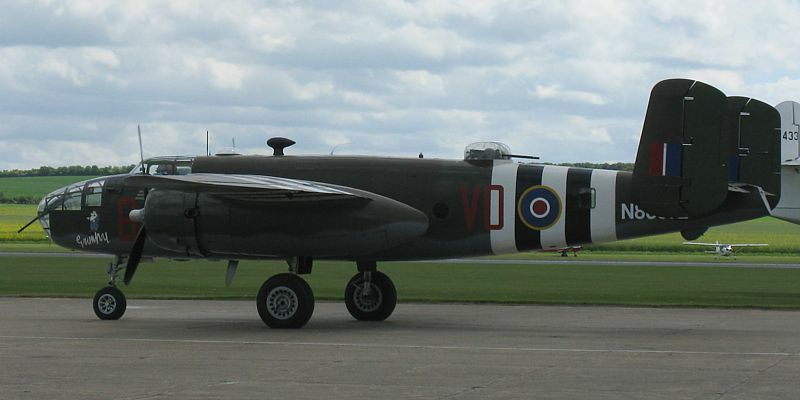 North American B-25 Mitchell taxiing to the runway. 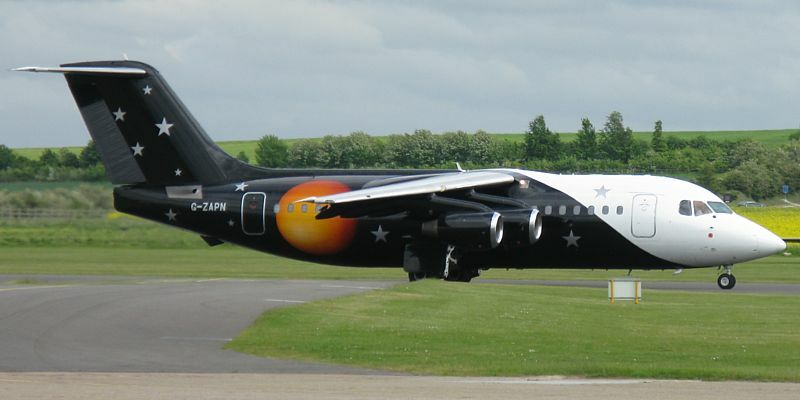 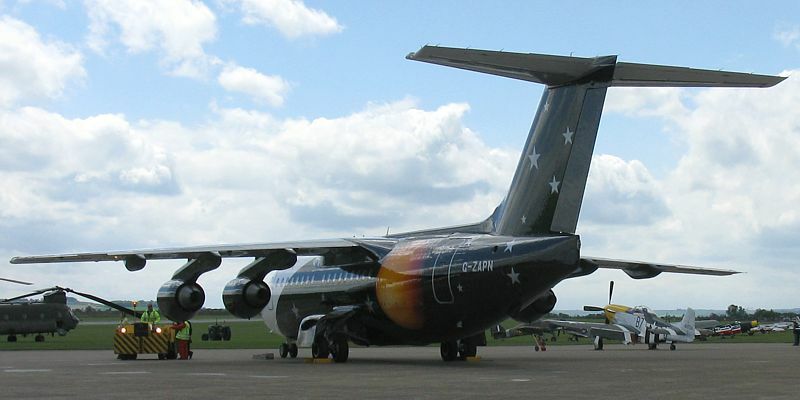 Titan Airways British Aerospace 146 parked up. 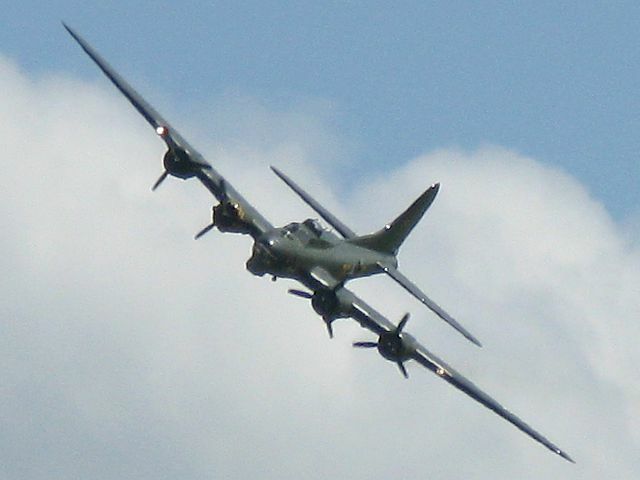 (Jack used to fly these!) 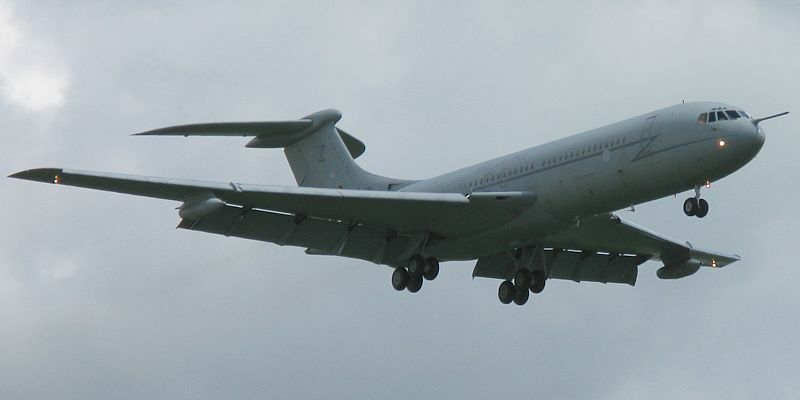 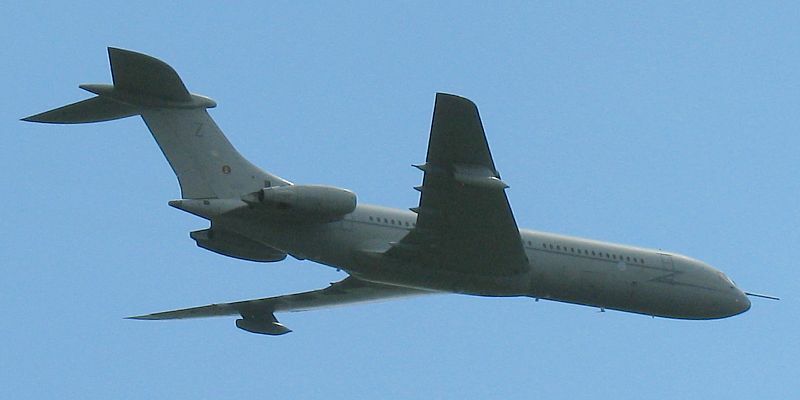 Vickers VC-10 performing a display. 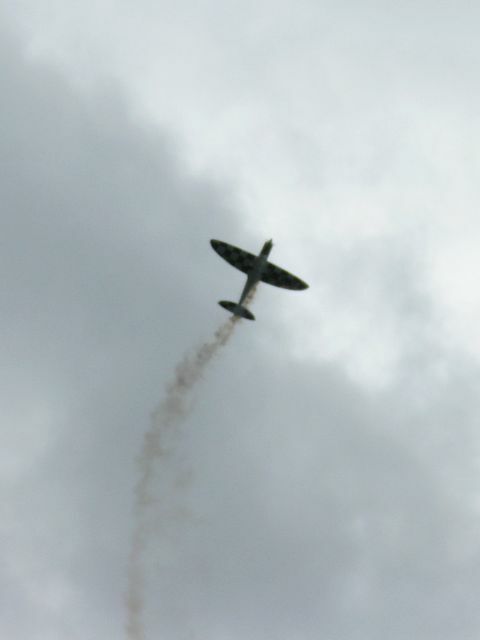 The Catalina performing a display. 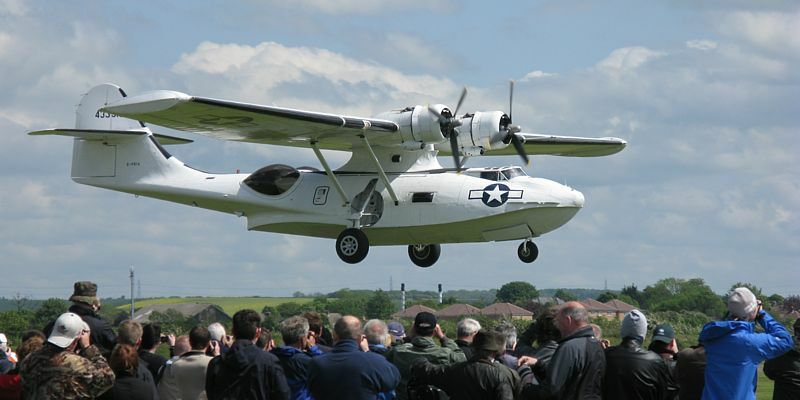 The Catalina coming in to land close to a nearby crowd. 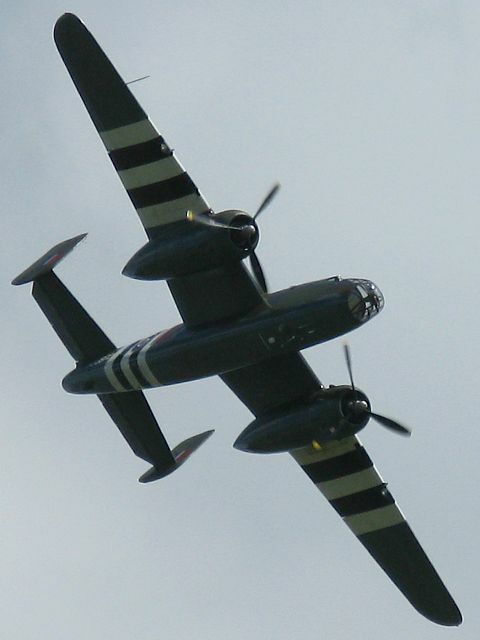 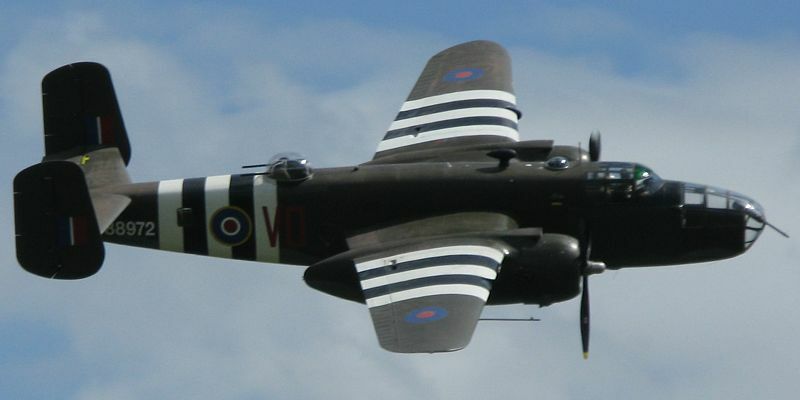 The B-25 performing a display. 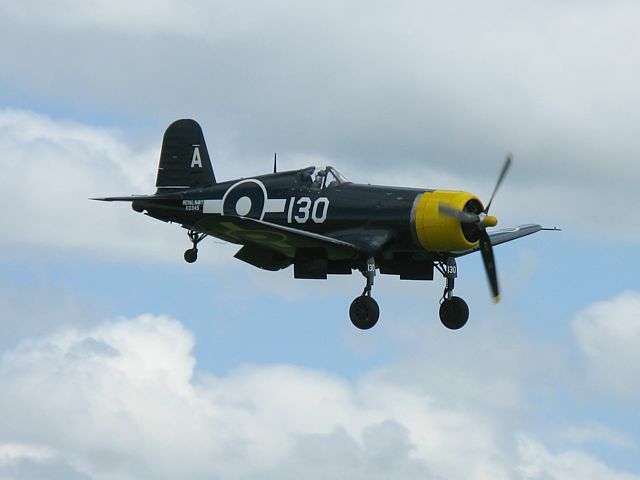 A Chance Vought FG-1D Corsair taxiing to the runway. 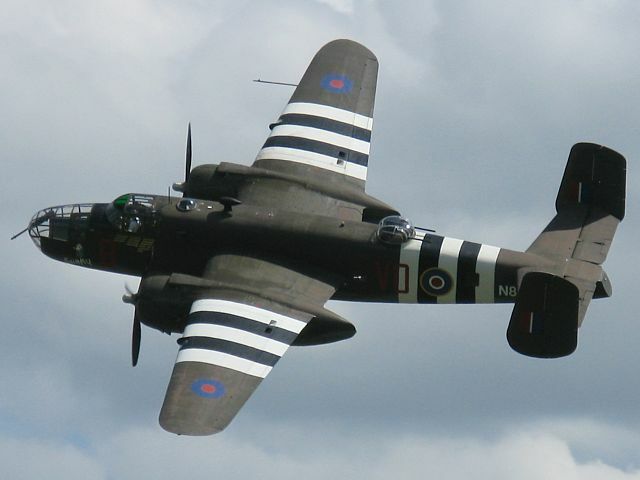 Another shot of the B-25. 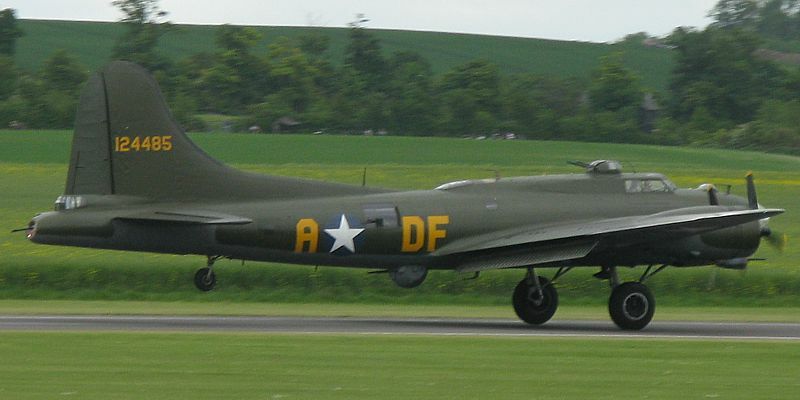 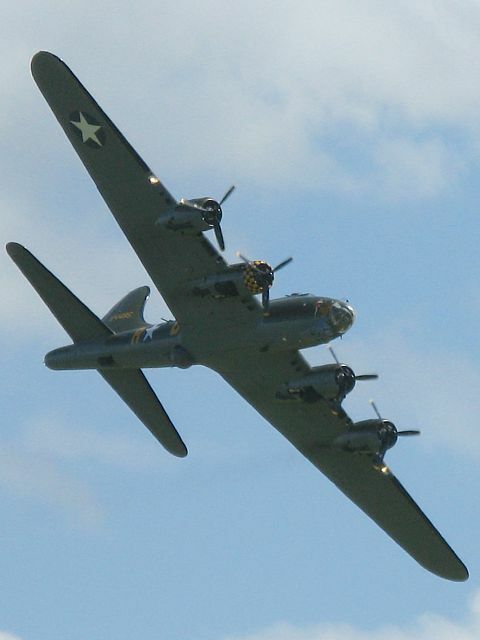 The mighty B-17 Flying Fortress performing a display. 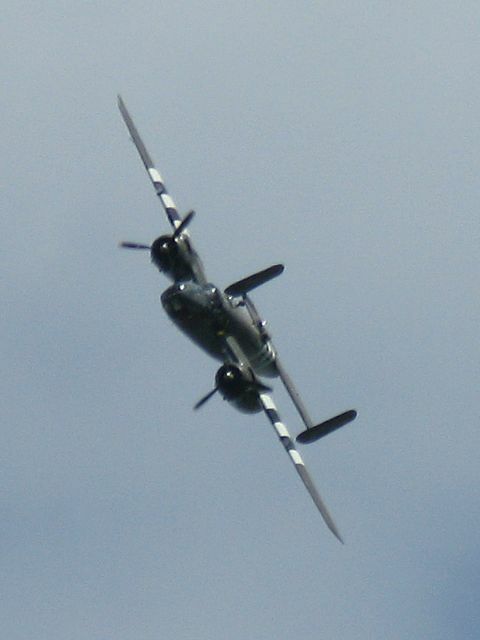 A closeup of the B-25 nose as it parks up after landing. 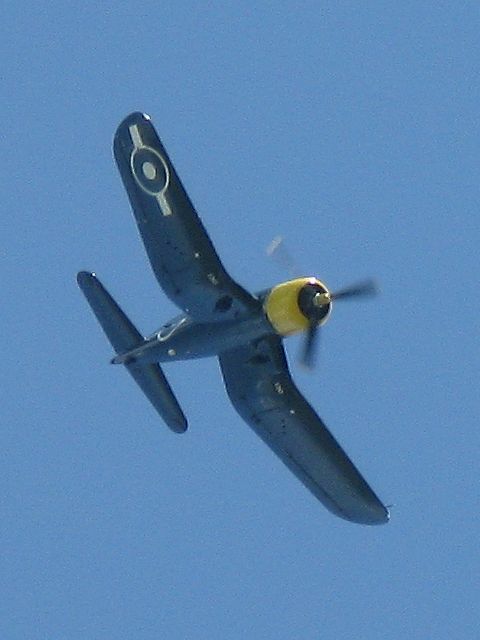 Two shots of the Corsair performing a display. 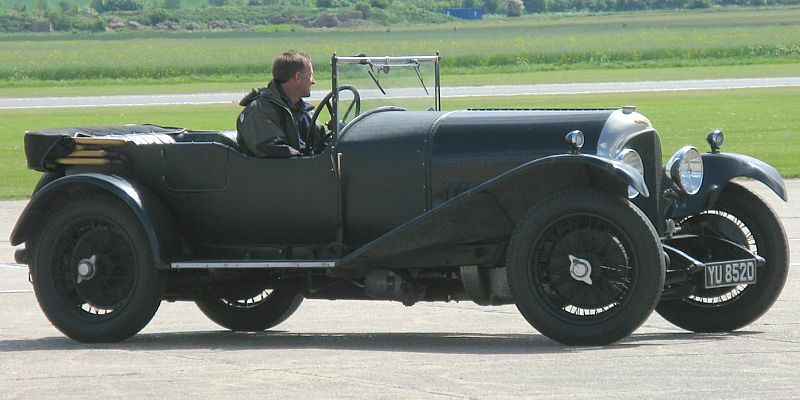 Two vintage cars showing off. 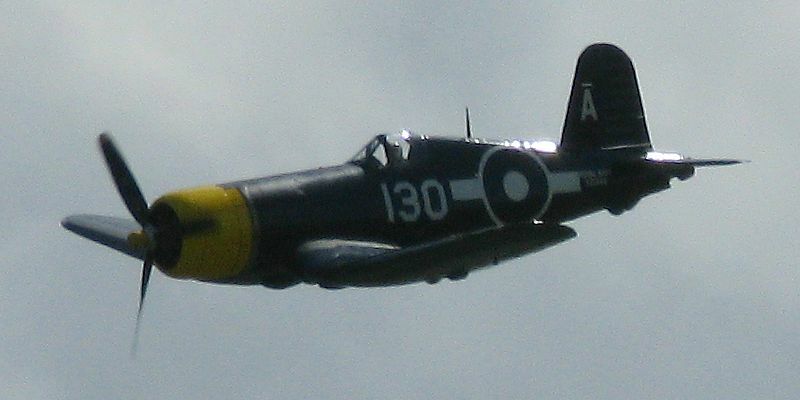 One more Corsair shot. 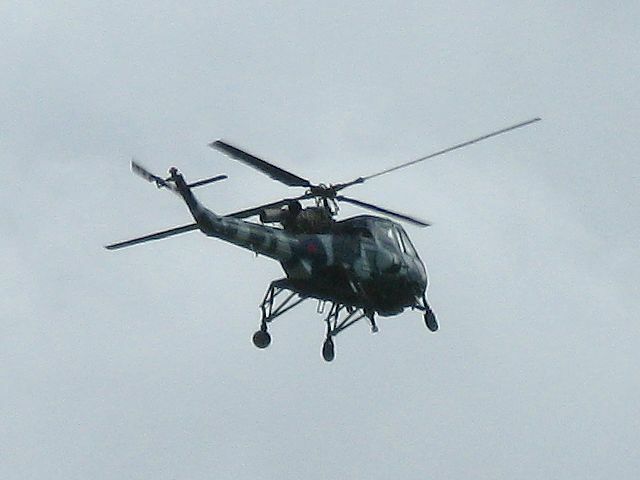 Two shots of a Westland Wasp performing a display. 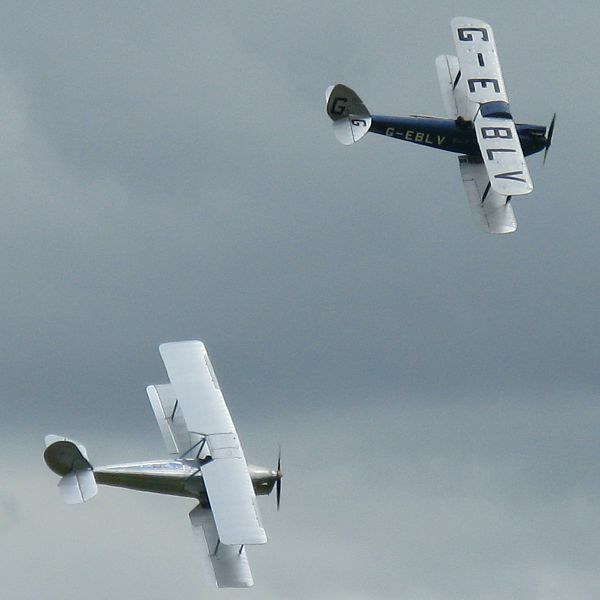 A Blackburn B2 and a De Havilland DH60 Moth performing together. 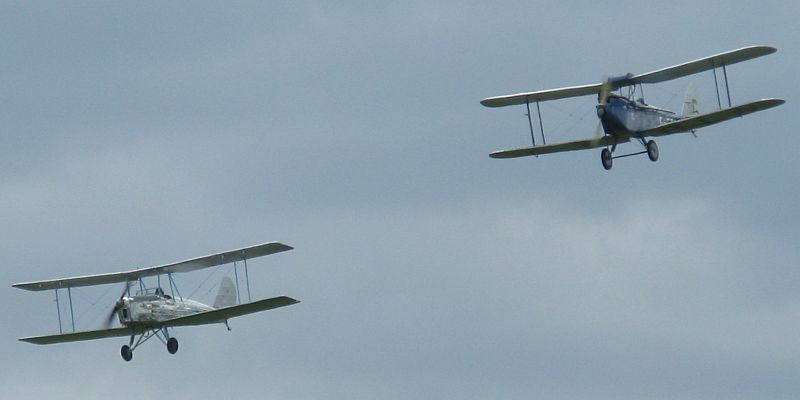 A Blackburn B2 and a De Havilland DH60 Moth performing together. 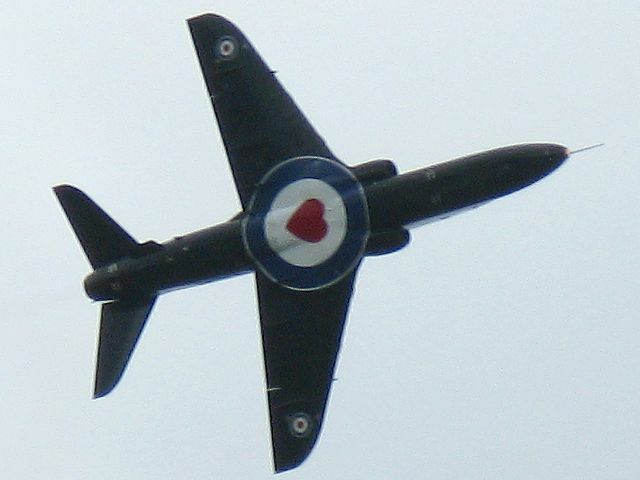 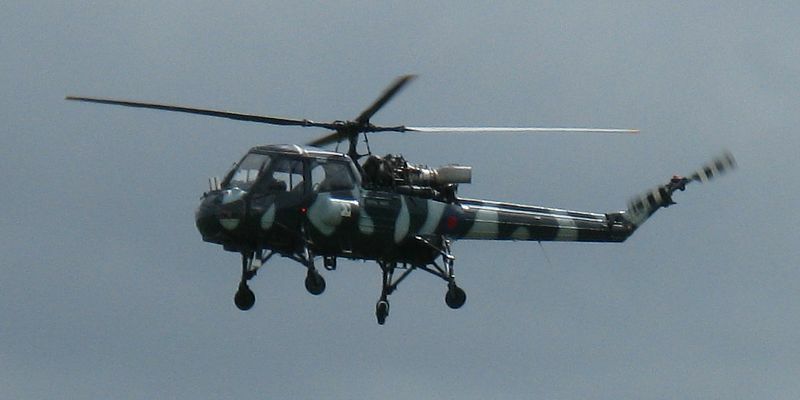 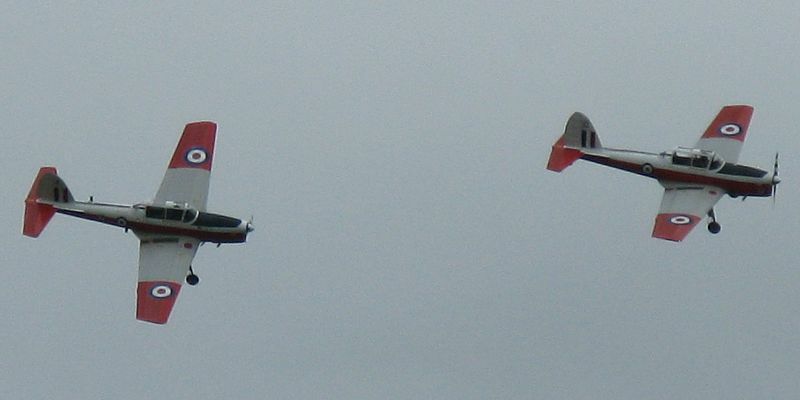 2 shots of the military version of a Cub performing a display. 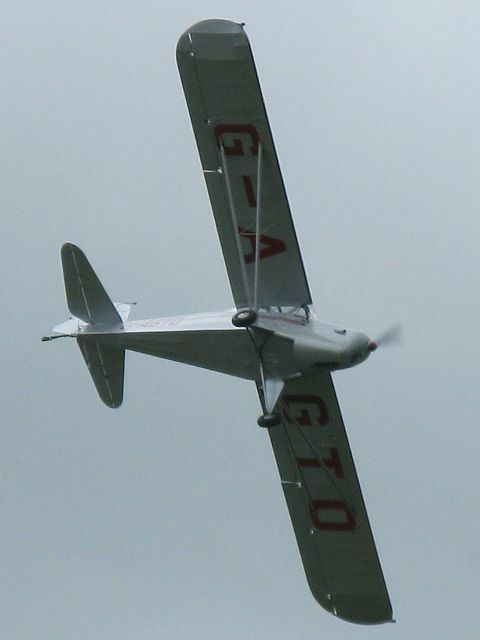 We have a Cub at Lasham. 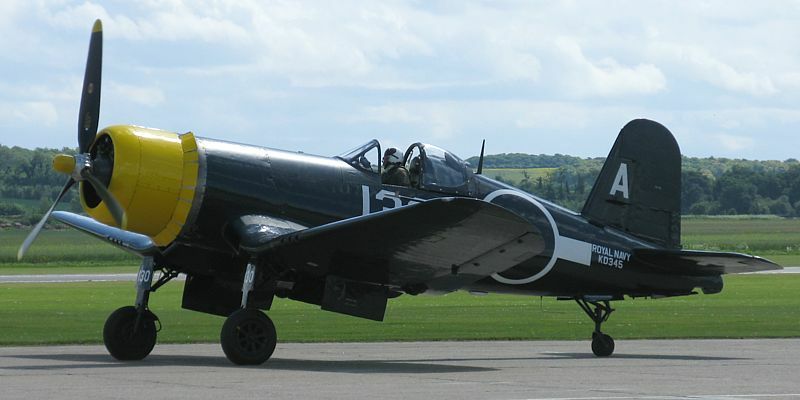 It's the only tug I've been in the back of. 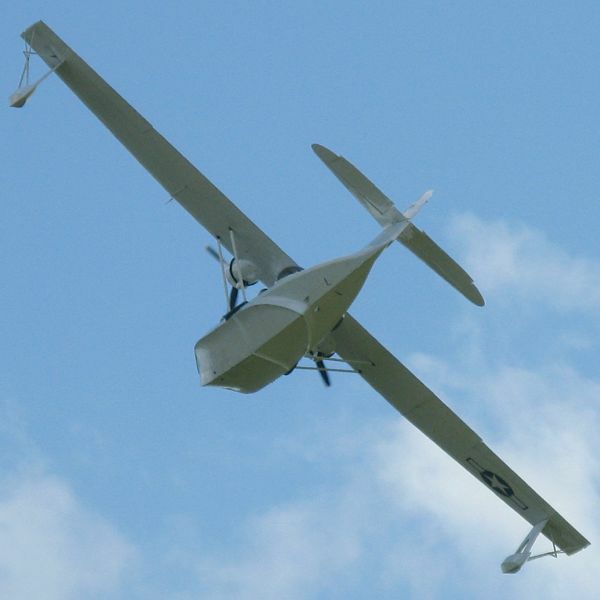 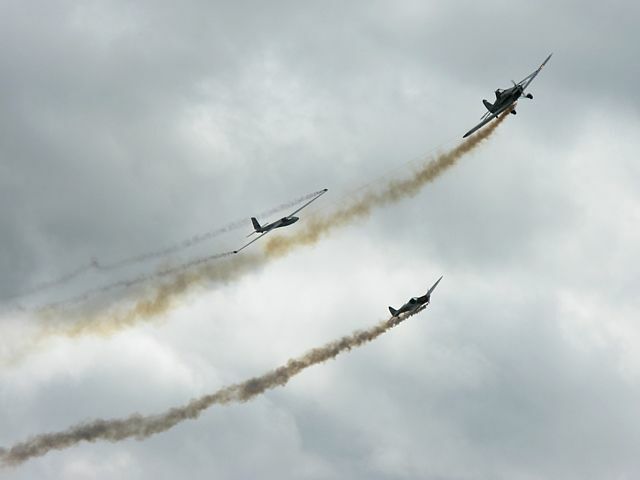 2 shots of an Auster 5J1 Autocrat performing a display. 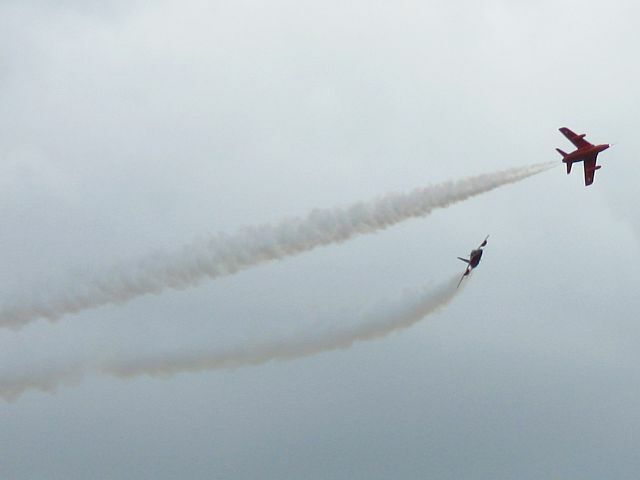 Two Folland Gnats performing a display. 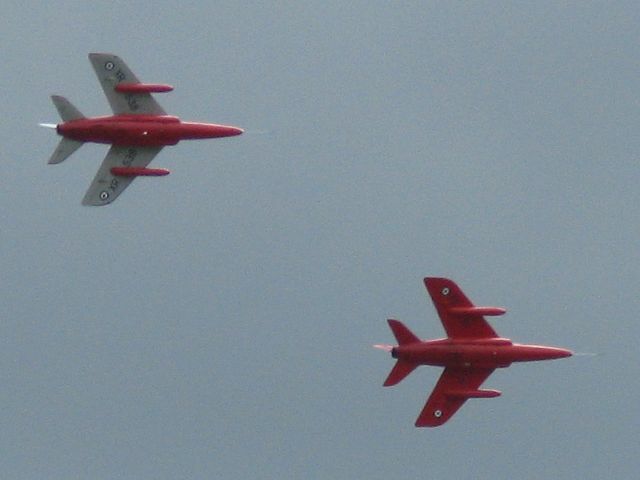 Teh red arrows used to fly these before replacing them with Hawks. 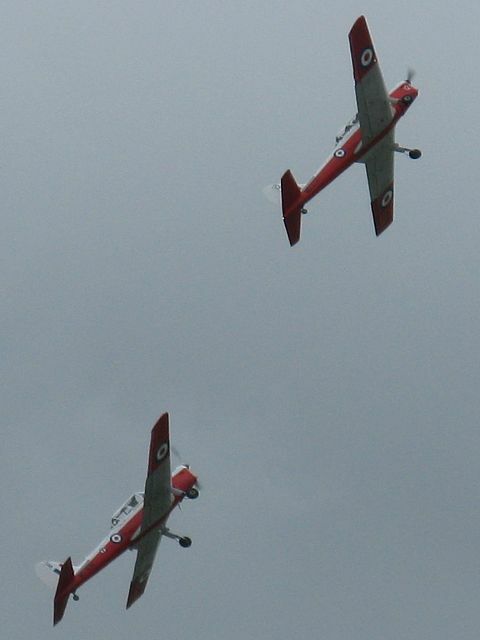 More shots of the Gnats displaying. 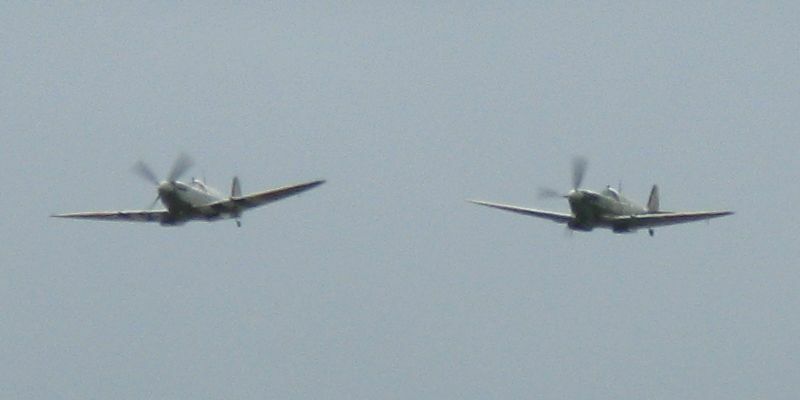 They were so fast it was hard to get shots, especially when they converged from different directions. 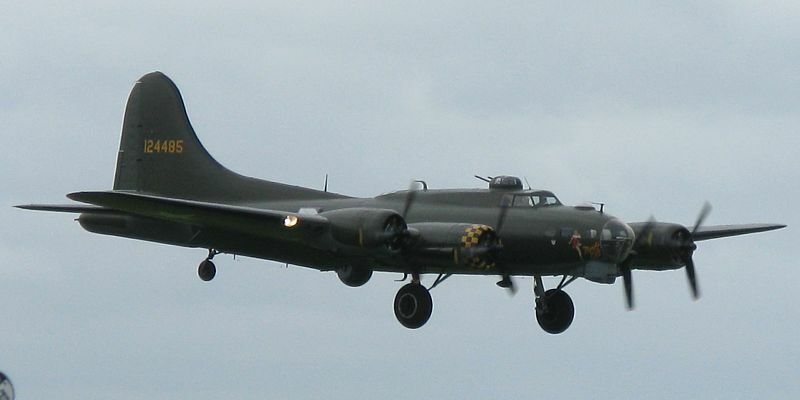 The B-17 Flying Fortress coming in to land. 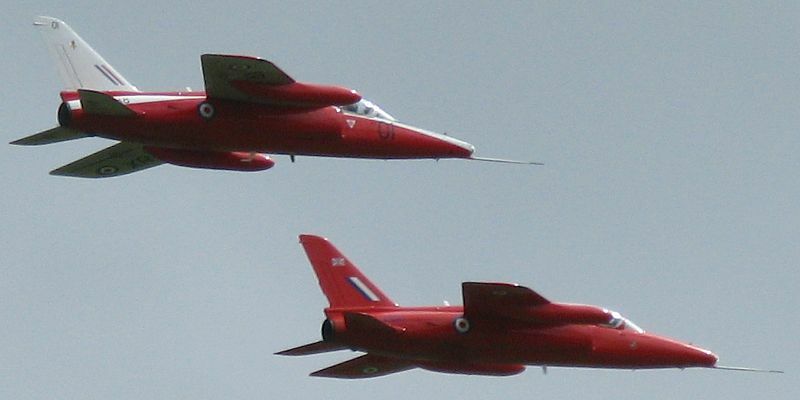 The Swift Display Team. 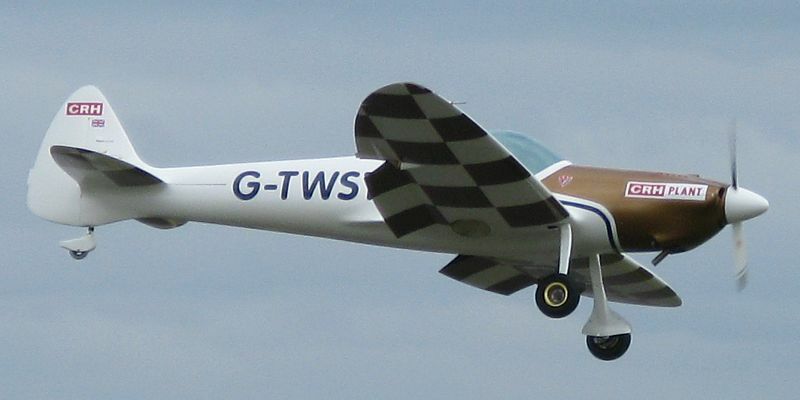 Guy Westgate in the S-1 Swift glider being towed up by the Piper Pawnee, with a SA180 Silence Twister accompanying them and joining in with the on tow stunts. 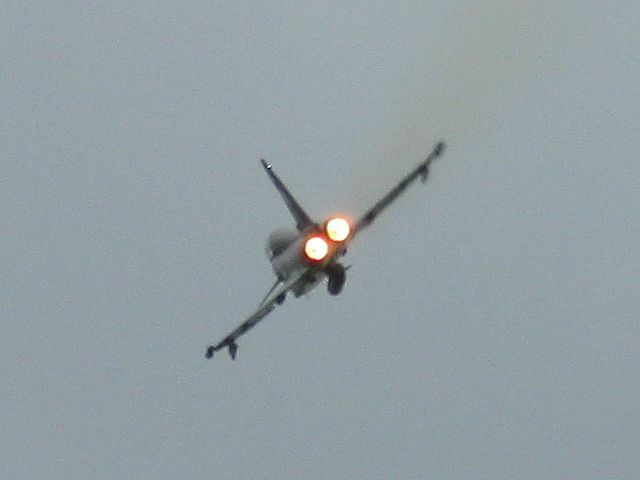 A closeup of the Twister flying past with smoke system on. 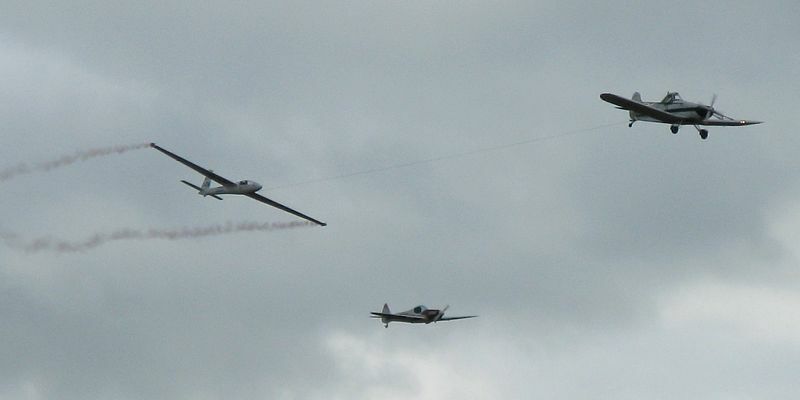 The Swift with smoking wing tips being towed by the Pawnee. 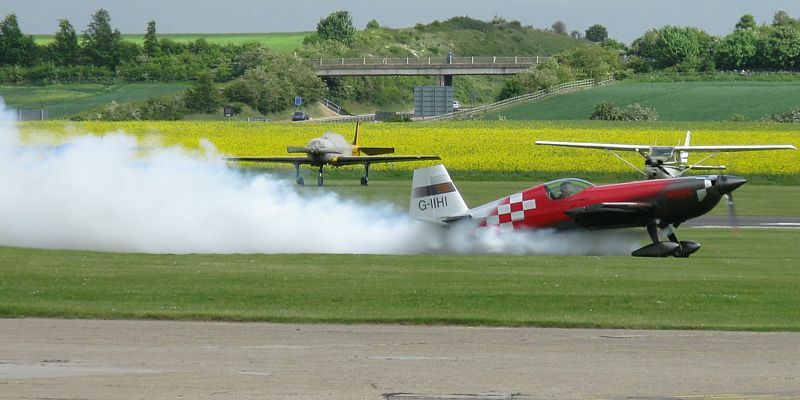 As the Swift gets towed up to start height, the Twister does some aerobatics to keep the waiting audience entertained. 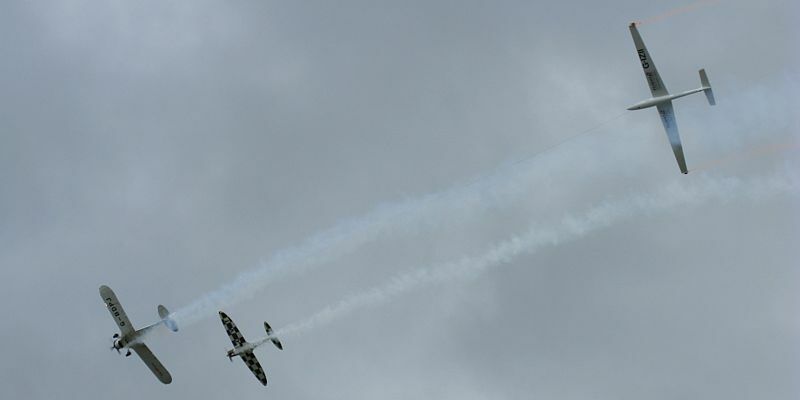 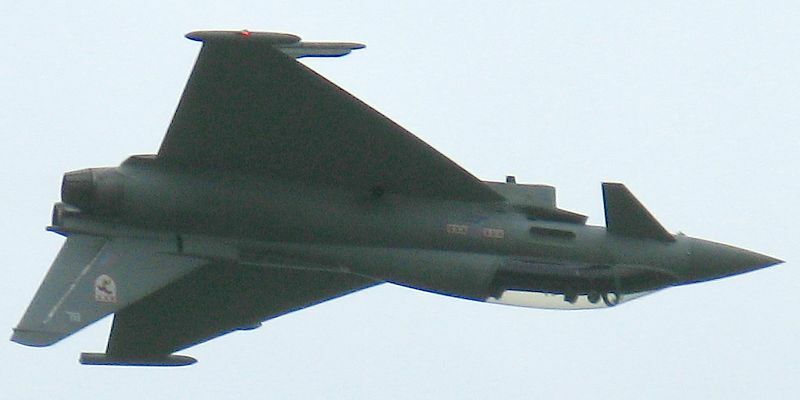 See video links for the main Swift display as well as on tow clips. 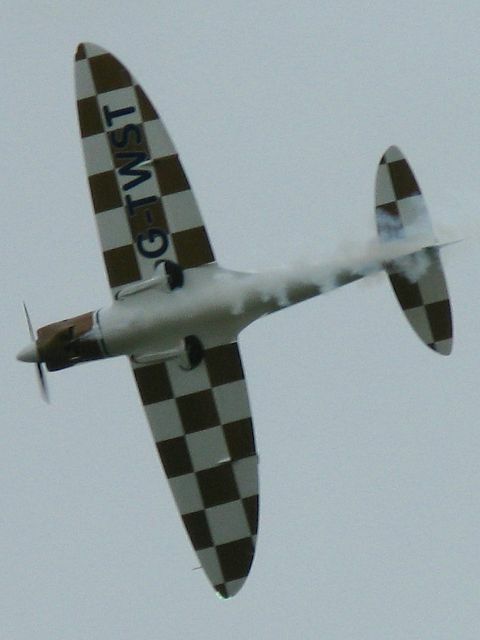 Links to videos taken of Guy Westgate on and after tow uploaded to You Tube. 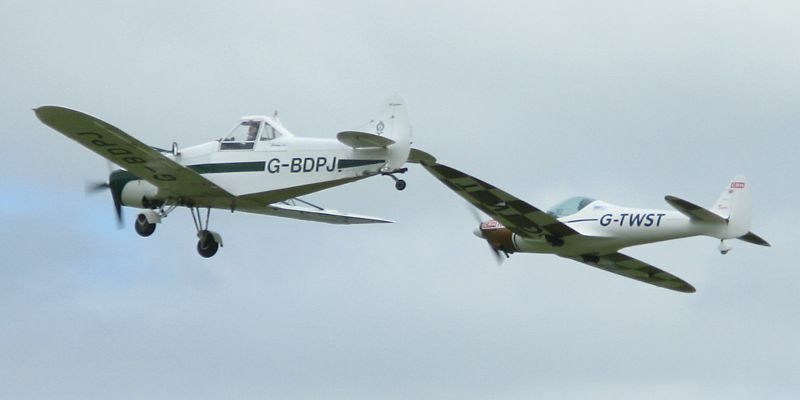 The Pawnee and the Twister coming in to land together after the Swift display. 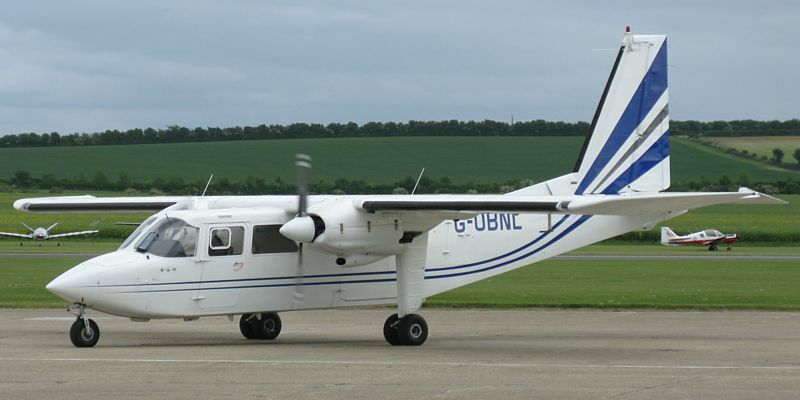 A Britten-Norman Islander taxiing to the runway. 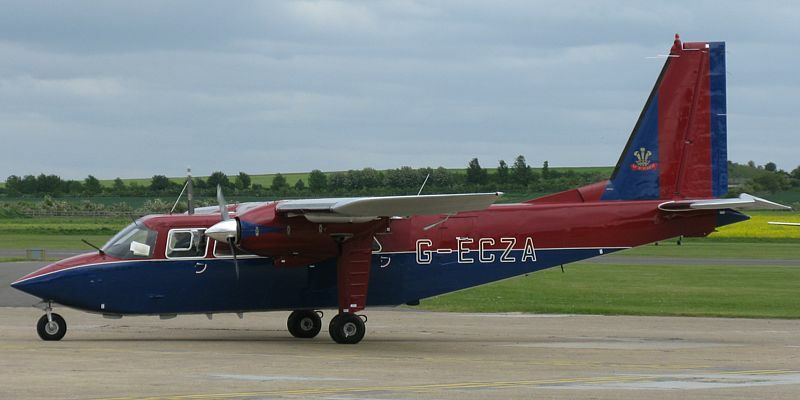 A 2nd Islander taxiing to the runway. 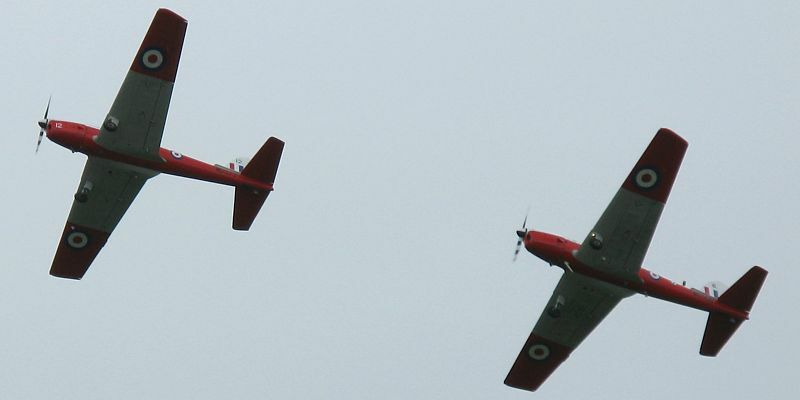 A pair of De-Havilland Chipmunks performing a display. The Islanders banking into the crosswind as they come in to land. 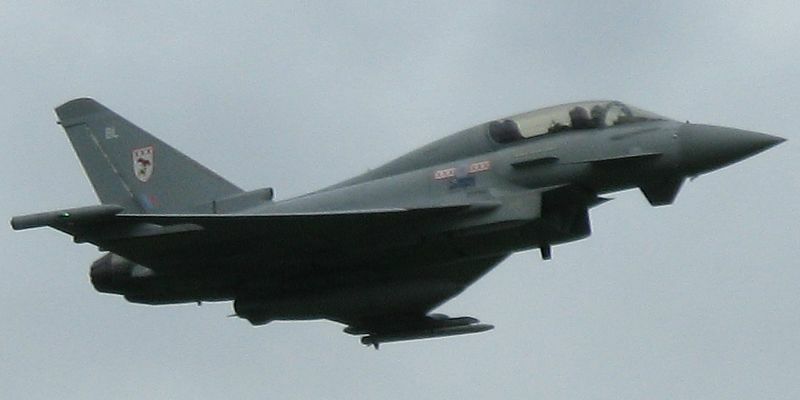 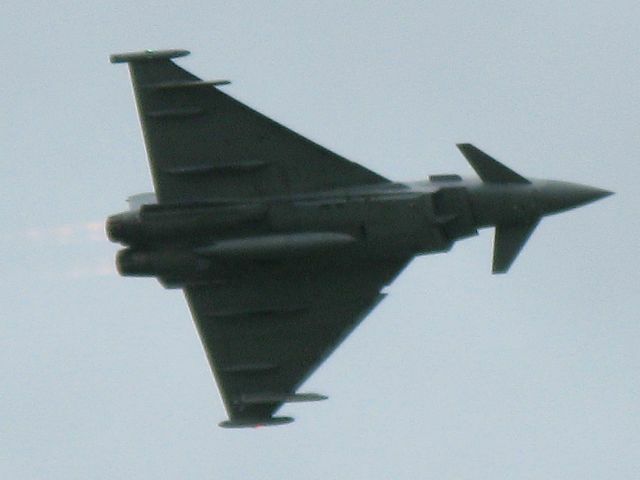 The Eurofighter Typhoon tested my camera to its limits moving so fast in a rather dark sky as a shower moved in. 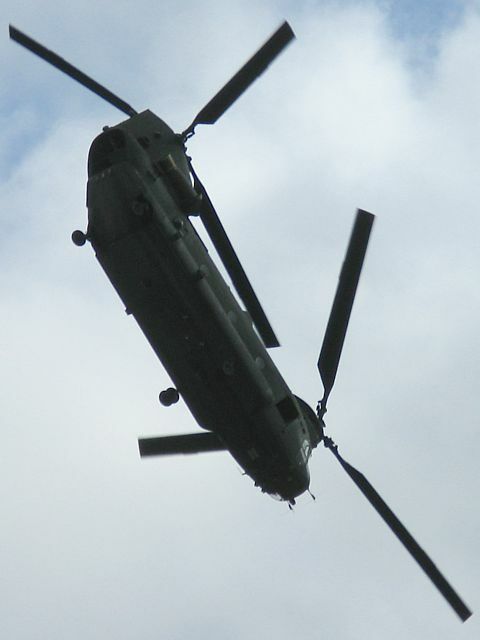 A Boeing Chinook from Odiham (near Lasham) performing some interesting display manouvres. 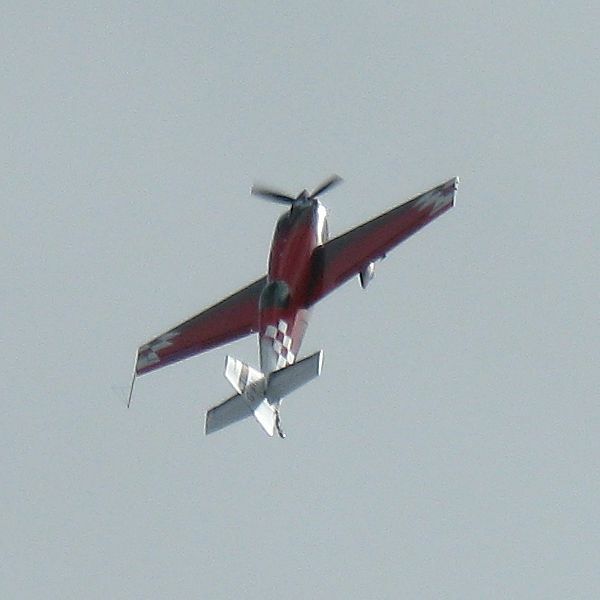 An Extra 330SC setting off smoke as it prepares to take off, and then performing an aerobatics display. 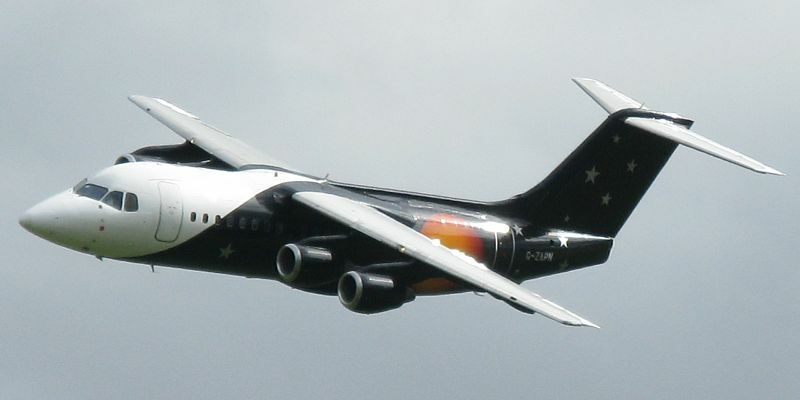 The BAE-146 performing a display. 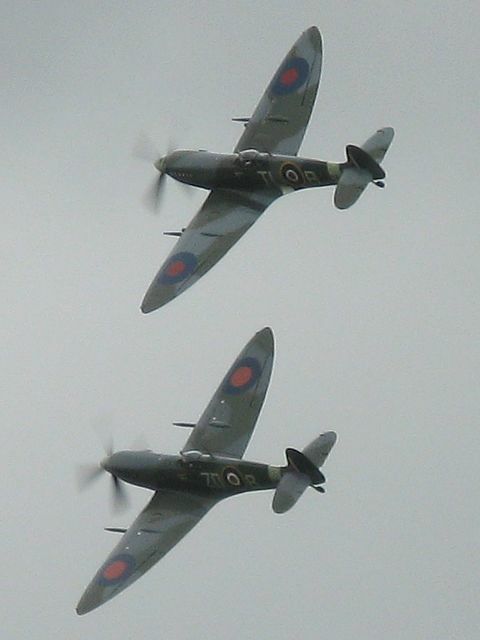 A pair of Spitfire Mk IX's preparing to take off from the grass. 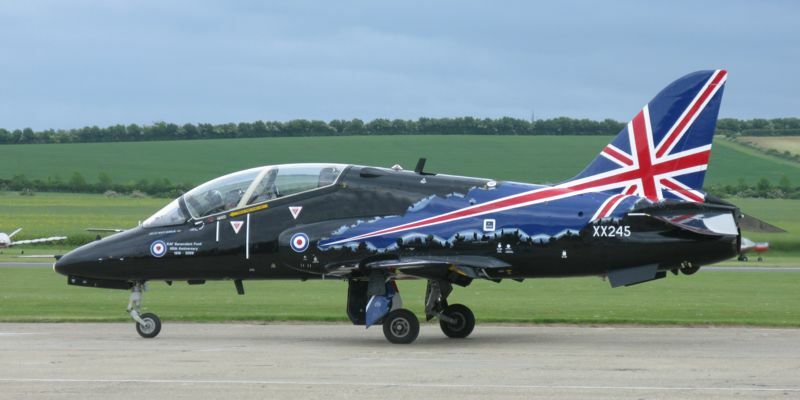 A BAE Systems Hawk T1 taxiing to the runway. 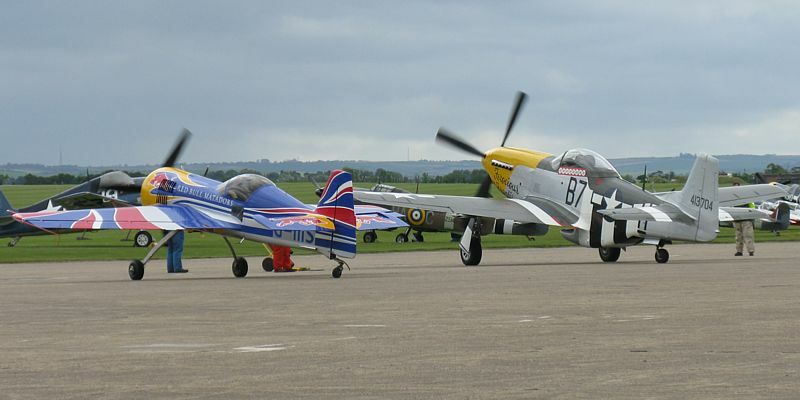 The Sukhoi powering up alongside a North American P-51D Mustang on the apron. 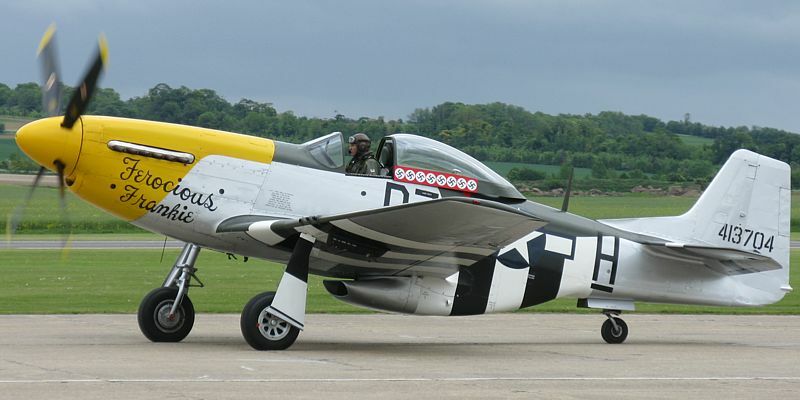 The Mustang taxiing to the runway. 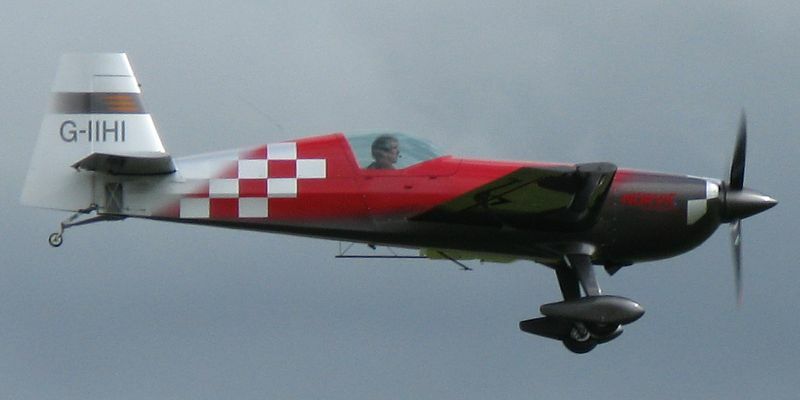 The Sukhoi taxiing to the runway. 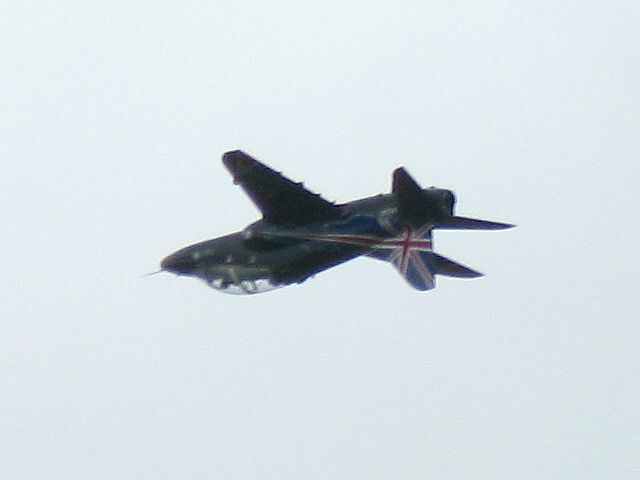 The Hawk was fiendishly hard to photograph while it was performing fast aerobatics. 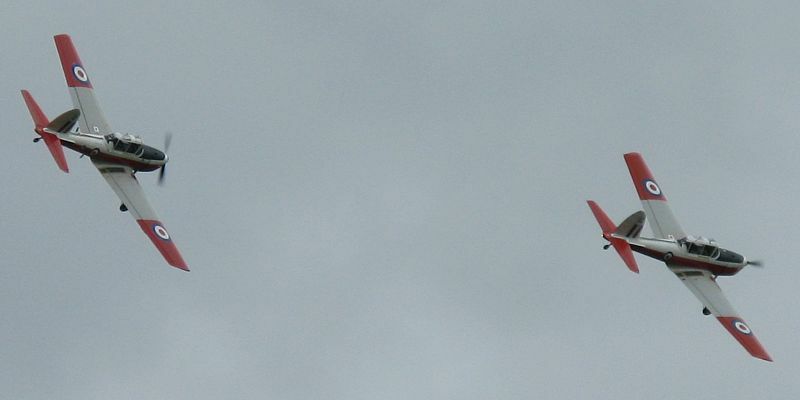 This was the best I could do. 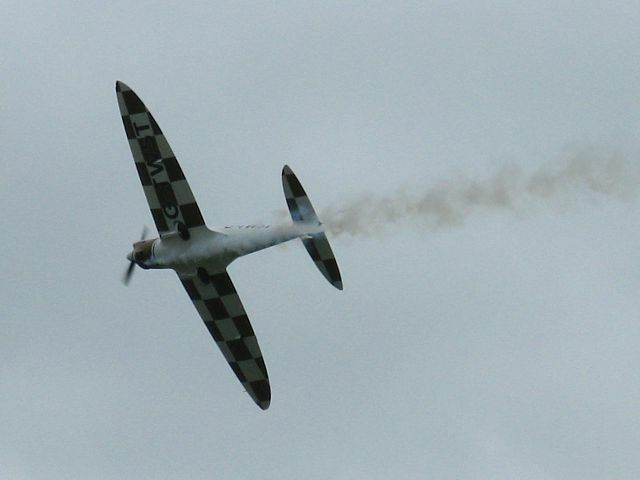 And finally, last but not least, the Spitfires doing a display. 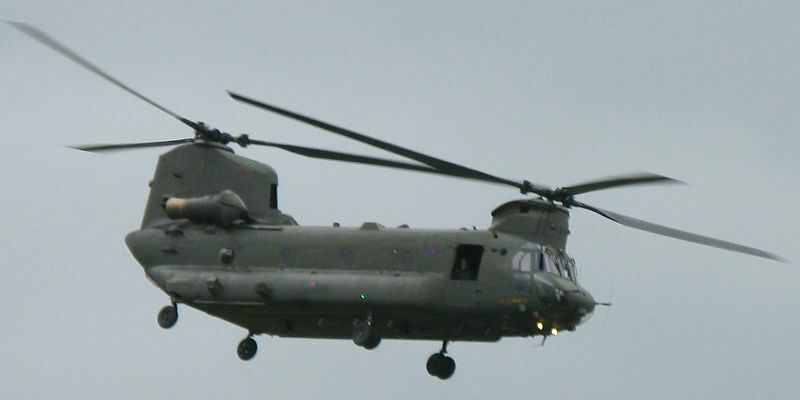 Again poor light levels and an incoming shower made photography challenging.